Need a super quick, easy & filling lunch? 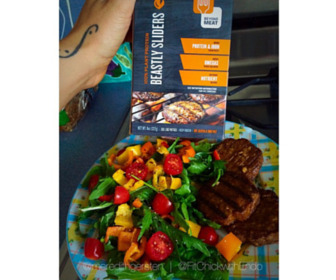 Grab some Beyond Meat sliders! Chop up all salad ingredients while cooking sliders. Top with Pink Himalayan Salt, Black pepper & freshly squeezed lemon juice! ENJOY!! Tip: chop up extra veggies for an afternoon snack with some hummus!